The Sun Mountian Pinehurst No. 2 Collegiate bag features a 4 way divider, 6 pockets and an EZ-Fit strap system. Cushioned hip pad. A velour-lined valuable pockets and a beverage pocket. Pinehurst No. 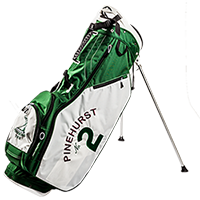 2 logo is embroidered on side pocket and the Pinehurst Putter Boy 1895 logo is embroidered on the ball pocket. From Paul Corcoran of Sparta, New Jersey on 1/2/2017 . Excellent golf bag! delivered early, solid construction, light weight and lots of pockets. From Andrew Couch of Falmouth, Maine on 3/10/2016 . I bought this for my son for his birthday this month. 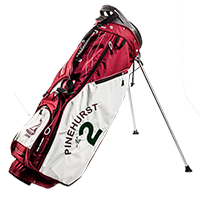 After taking him to Pinehurst for his first visit, Father's Day weekend 2015, he was so excited last weekend when he opened up the box and saw the Pinehurst #2 logo on the bag. Sun Mountain golf bags are fantastic already, and this one is the perfect weight for carrying. 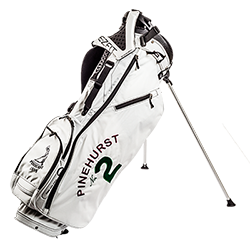 Having the Pinehurst and #2 logos is such a great bonus to an already great product. 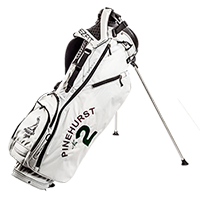 Thank you so much to Pinehurst for offering this memorabilia. We'll cherish memories of Father's Day weekend at Pinehurst forever. 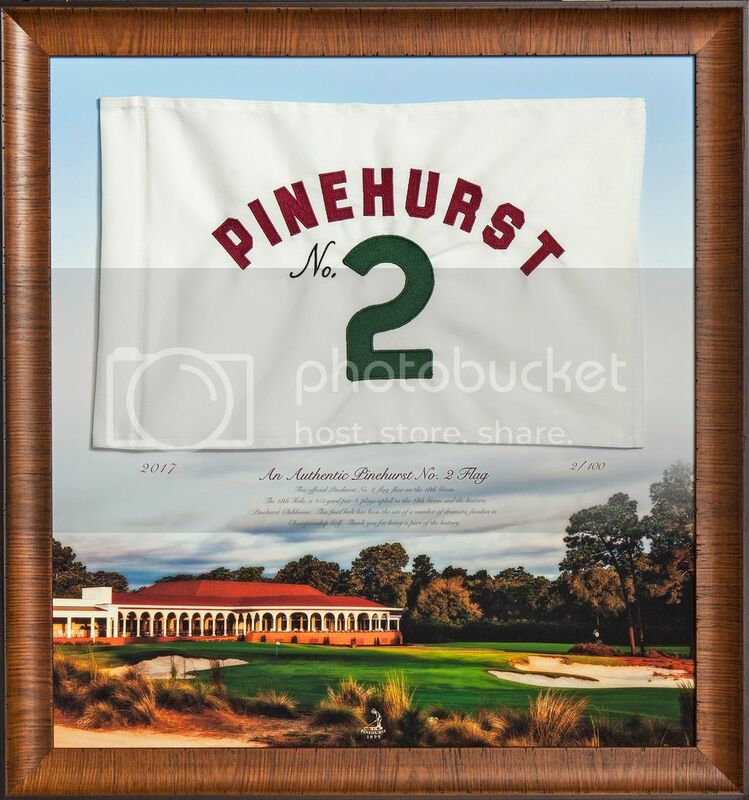 My son will be reminded of how special a place Pinehurst is every time he gets on the course, and it will be a great conversation starter with friends and during corporate golf outings as he is starting his business career at an investment bank after graduating from college in two months.